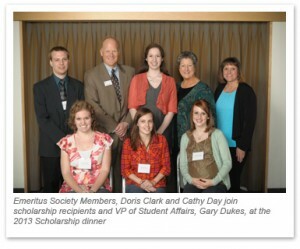 The Emeritus Society is a group of friends of Western Oregon University seeking and sharing intellectual pursuits. Affiliation with WOU is not a pre-requisite. 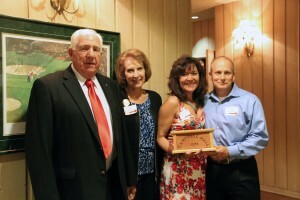 Funds received from membership, are used to award $1,000 dollar scholarships to WOU students. Meetings are held on the first Monday of the month at 1:30pm at Gentle House unless otherwise published. For directions to Gentle House click here. To join Emeritus Society or renew your membership please complete the MEMBERSHIP FORM and return to WOU Foundation, 345 N Monmouth Ave, Monmouth, OR 97361. The Emeritus Society Newsletter is published 11 times a year and is mailed to all members. All submissions for consideration should be e-mailed to the editor by the second week of the month. Contact: Emily Lafon at lafone@wou.edu for the editor’s e-mail address. The newsletter highlights upcoming speakers and events, recaps previous activities, and provides a calendar of events and notes of interest.